The Model 910 is the first in a new generation of multi-purpose lapping machines designed for accurately lapping and polishing a wide range of materials. 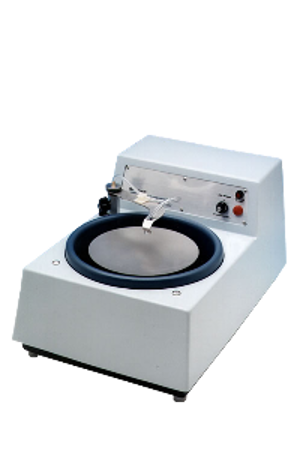 The 910 can be used as a standard metallurgical grinder/polisher utilizing abrasive papers, abrasive films, diamond discs, polishing cloths, etc. Or it can be used as a high precision free abrasive lapping machine for flat polishing of optical and semiconductor materials. The 910 is ideal for high precision polishing both R & D and production environments. It runs at a speed range of 8-600 rpm and provides high torque at the lower speeds as well as the higher speeds.